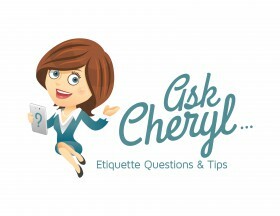 What is the best way to handle a wedding when it’s the bride’s second wedding, but the groom’s first? The bride has children and the groom doesn’t and they’re both around 40 years old. I really want to do the right thing. Figure out who you want to invite. 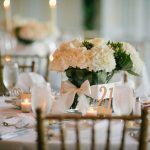 Plan your wedding around the number of guests invited. The first thing to do is to sit down with your fiancé and decide what type of wedding celebration you both want: a small intimate affair, a large celebration or something in between? Even though you have been married before, you do not have to limit yourself. You may have any type of wedding that you and your fiancé desire. Whether small and intimate, or large and elaborate, choose a wedding that makes you comfortable and reflects your personality as a couple. I would also recommend that you include your children in the process, if at all possible. 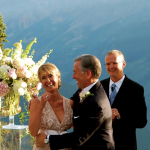 Make your wedding feel like a family event by including them in the ceremony or a giving them a special job. Sometimes with a second marriage, there may be family situations to consider. Be mindful of other’s feelings. 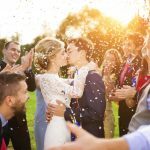 I’ve written a blog post, “Love and… Remarriage: Etiquette for an Encore Wedding”, that may be helpful during your wedding planning process. Good luck and remember: center the event on the celebration of your love and commitment to one another and all the other details should fall into place. Emails in this column are received from readers. Emails may be edited for spelling and grammar, or to remove sensitive information, however, we are careful not to alter the intent or content of the question.